Located in Maui's paradisal western region, Marriott's Maui Ocean Club incorporates sweeping ocean views and endless sunshine to create the perfect beach getaway. Lock down your chance to return to Maui each and every year with timeshare resales and rentals on SellMyTimeshareNow.com. This stunning beachside resort from Marriott is located in West Maui, in the resort town of Lahaina. 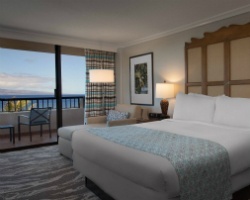 Comprised of the Lahaina and Napili towers, the resort's presence on the world-famous Ka'anapali Beach provide plenty of unit types fit for any type of traveler. Maintaining a Certificate of Excellence from TripAdvisor, this luxurious property is held in high esteem for its extensive amenities and services. From small conveniences like free WiFi and laundry facilities, to major perks like full kitchens and multiple bathrooms, Marriott's Maui Ocean Club has championed the home-away-from-home experience. The resort's two towers comprise the accommodations at the resort, while other on-site amenities are spread across the grounds. Timeshare owners and club members can even take their pick of garden, island, or ocean view. Most units come equipped with private balconies, allowing you to gaze outward as the sun sets behind the looming island of Lanai in the distance. With units ranging from efficient studios to immaculate three-bedroom villas, both couples and families alike will find the Maui Ocean Club accommodations perfect for their vacation. 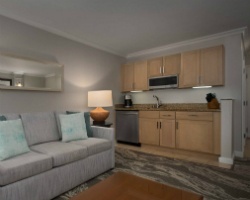 Fill out the form on the right or call us today at 1-877-815-4227 for more information on how to own your own home away from home at Marriott's Maui Ocean Club. Purchasing a timeshare at the Marriott Maui Ocean Club through the resale market can present opportunities for you to save up to 70% on vacation ownership accommodations. What's more, buying a timeshare resale will enable you to more easily join the Marriott Vacation Club. Resale postings often come in deeded, fixed, or floating weeks, at both annual and biennial intervals. Weeks at the Maui Ocean Club fall into either the Platinum or Platinum Plus seasons. Marriott points can also be found on the secondary market for advertisements that fall within the Marriott Vacation Club Destinations program. 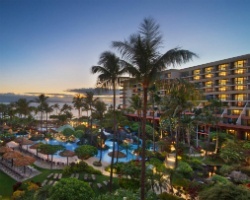 When you purchase a timeshare within Destinations, you can use Marriott's easy-to-understand points system to make reservations at the Maui Ocean Club and other Marriott-branded resorts. Marriott features very few timeshare resale restrictions, meaning it can be incredibly easy for resale buyers to earn their way into the Marriott Vacation Club. When you buy a deeded week on the resale market, you can book those accommodations for your yearly trips with great ease. However, upgrading your unit with the Marriott Vacation Club can open up a world of possibilities beyond just Maui—you could be able to book accommodations at other Marriott resorts around the globe. The Marriott Maui Ocean Club is affiliated with Interval International, one of the world's largest timeshare exchange companies. With inventory all across the world, an Interval membership could complement your ownership at the Maui Ocean Club perfectly, and could be your ticket to other destinations. An Elite ranked resort by Interval International, Marriott's Maui Ocean Club has achieved the highest distinction possible from the exchange company, meaning you'll get a higher trading power for your accommodations compared to other properties. The Maui Ocean Club was built for your ultimate enjoyment on vacation. Its extensive list of services and amenities encompass comfort, convenience, and excitement from the beginning of your stay until the end. On the resort grounds, you'll find a sprawling three-and-a-half acre swimming area that comes complete with pools, waterslides, and grottos. Whether you're there for sunbathing or swimming, you can also stop at the Lokelani Pool Bar for refreshments, or any of the other four restaurants and bars the resort houses. Also on-site is the Hale Mana Wellness Center, where you can treat yourself to a variety of spa offerings to recharge during your escape. The resort's central location on Ka'anapali Beach puts you in the perfect position to discover Maui. Everything from zip lines to sunset cruises can be found around West Maui, while the West Maui Forest Reserve offers ample opportunities to hike. The Kaanapali Golf Resort is mere minutes away, giving golfers the seaside course of their dreams. More intrepid travelers may choose to head to the other side of the island to visit the Haleakala Crater or embark on the Road to Hana. 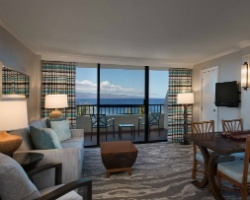 Already Own at Marriott’s Maui Ocean Club?